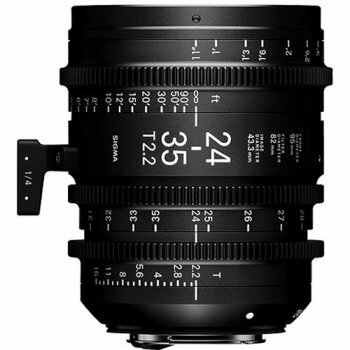 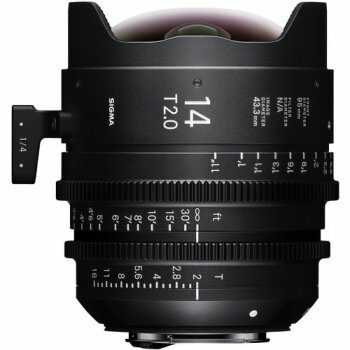 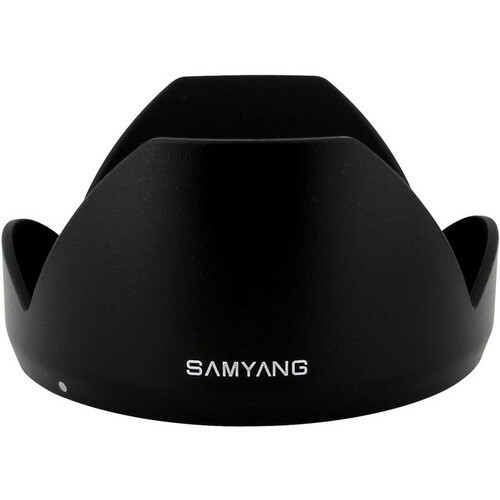 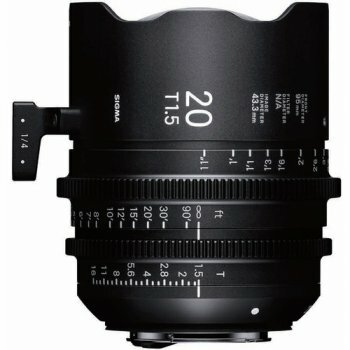 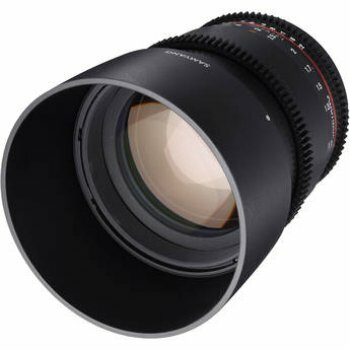 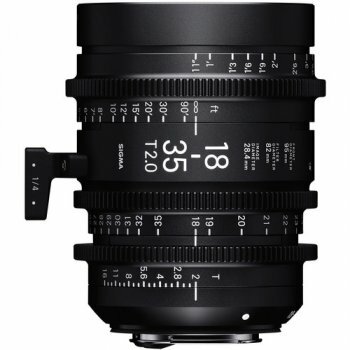 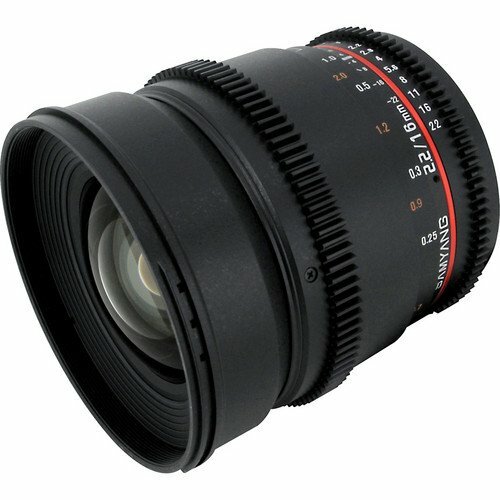 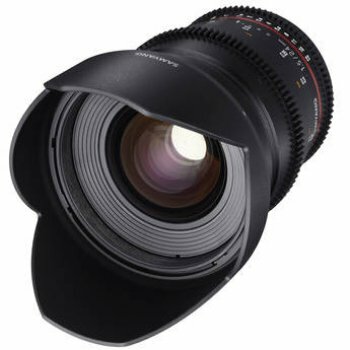 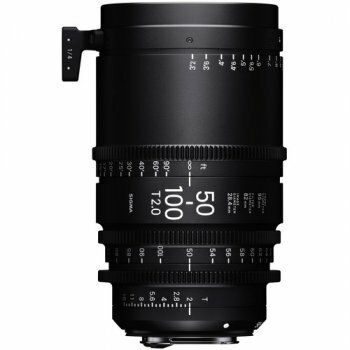 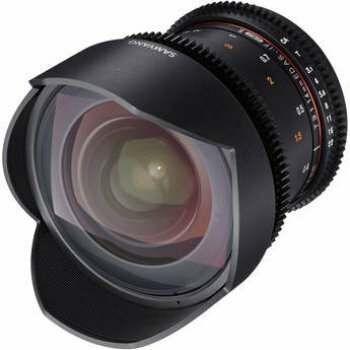 The Samyang 16mm T2.2 Cine Lens is a wide-angle lens optimized for digital cinematography. 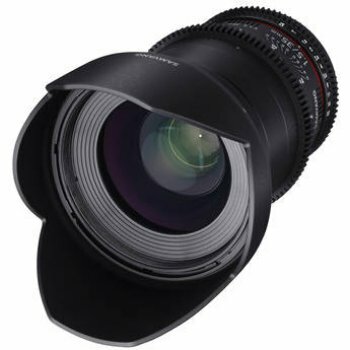 The lens produces an image circle that will cover APS-C sized sensors or smaller. 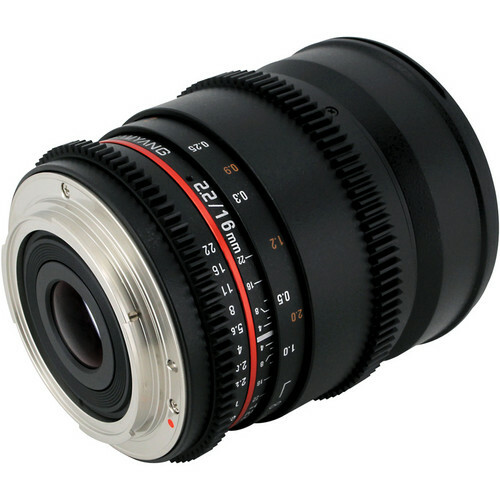 The focus and aperture rings feature industry-standard 0.8 pitch gearing for attaching a follow focus unit. 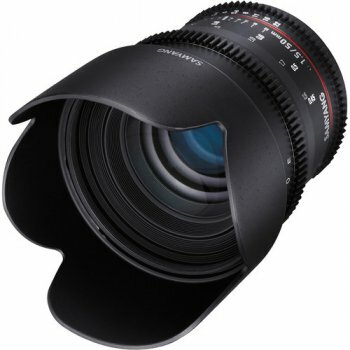 The aperture ring is also de-clicked to allow for smooth iris pulls while shooting. 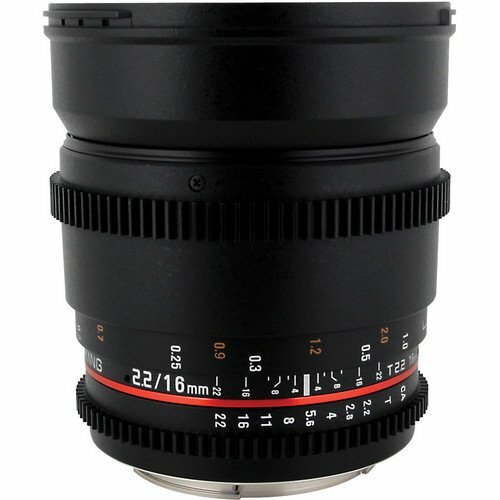 Focus, aperture, and depth of field markings are on the side of the lens to aid focus pullers, who typically operates on the side of the camera. 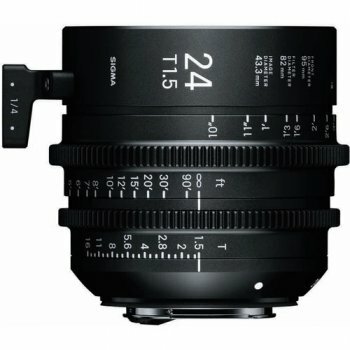 Box Dimensions (LxWxH) 8.6 x 6.7 x 4.9"